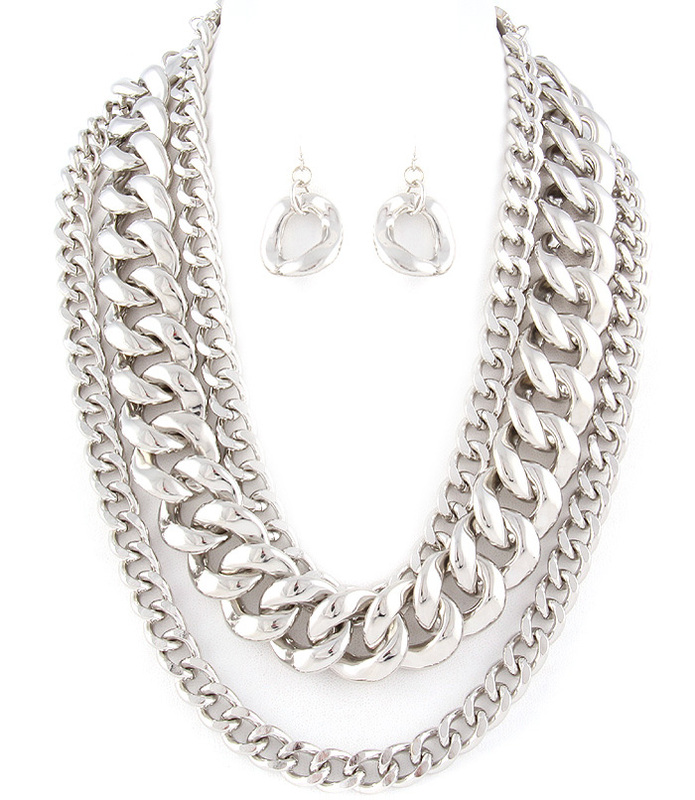 Match this versatile Samantha Necklace Set with a simple outfit. The necklace features three linked chains in different sizes. The earrings feature a single silver link pendant with fish hook fastening. Our necklace sets are of the highest quality and come with a hassle free exchange policy.